Athletes have to heal faster than the average weekend warrior because their livelihood depends on performance. Down time from an injury is down right detrimental to success and performance. So how do they manage to heal so fast? Physicians keep their athletes healthy via multiples modes of therapies and interventions to ensure that injury time is not prolonged. One therapy endorsed by a variety of physicians across multiple specialties is Extracorporeal Shockwave Therapy (ESWT) Put simply, it accelerates the healing of soft tissue injuries like plantar fasciitis, tennis elbow, golfers elbow as well as a variety of other ligament and soft tissue ailments. Shockwave therapy is viewed as being an excellent adjunct to exercise, education and activity modification for accelerating healing with little to no down time. 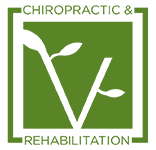 If you live in the greater Denver area and experiencing issues with soft tissue or tendon injuries like plantar fasciitis, achilles tendonitis, knee pain, shoulder pain or back pain, call now to schedule an appointment at V Chiropractic and Rehabilitation conveniently located in Littleton Colorado. You’ll be happy with the results.